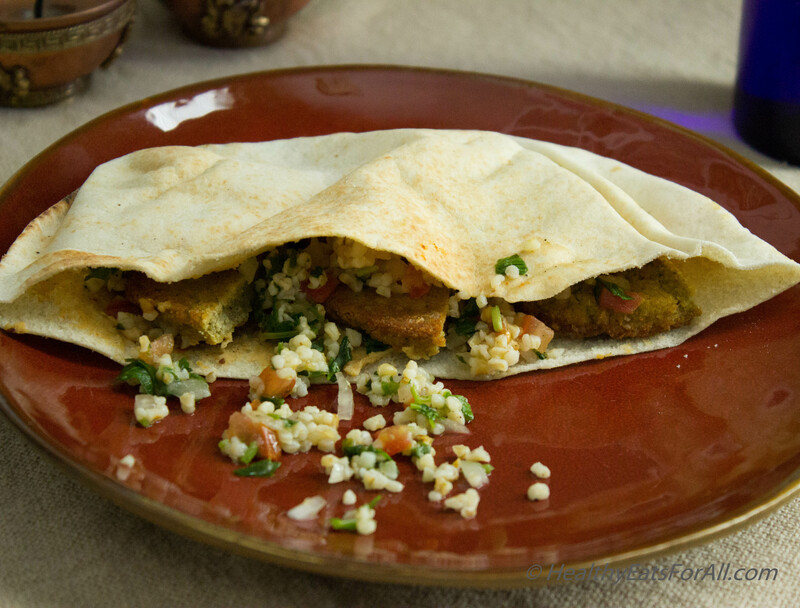 One of the first Middle Eastern foods that I ever tried was a Falafel wrap (along with Tabbouleh and Hummus)! I was instantly hooked; I just couldn’t get enough of them. But when we moved from Ohio to Massachusetts, we moved into the suburbs where there weren’t many good Middle Eastern restaurants, so I would indulge whenever I went into the city. 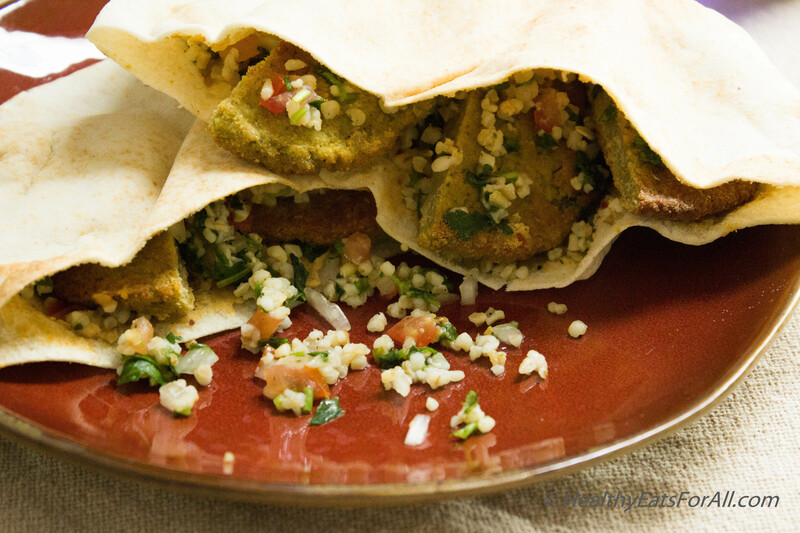 Later, when I was struggling to find portable vegetarian lunch options for my kids and husband, the Falafel wrap was one of the first things that came to mind. 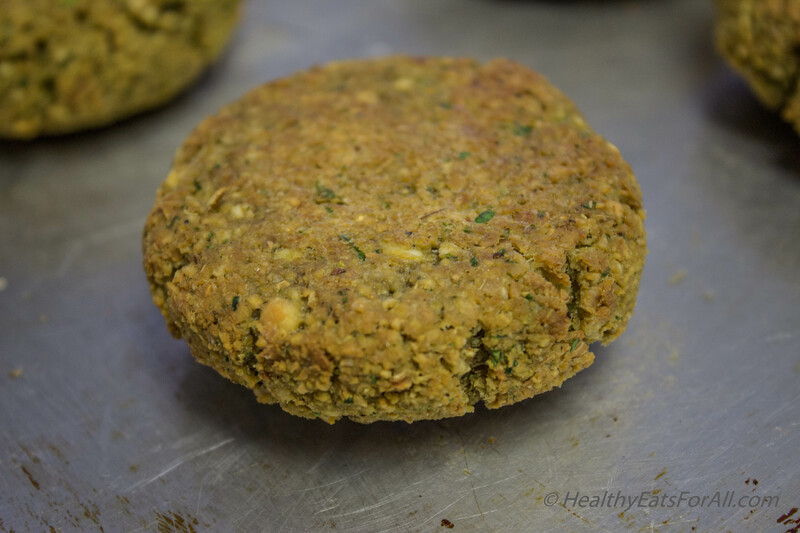 Not only are falafels good sources of vegetarian protein, but they have plenty of fiber too! But the fact that falafel balls are usually deep-fried was a deterrent for me. If you are going to eat fried things once in a while, then it’s okay. But if you want to have these on a regular basis, then the calories and fat will catch up real fast! 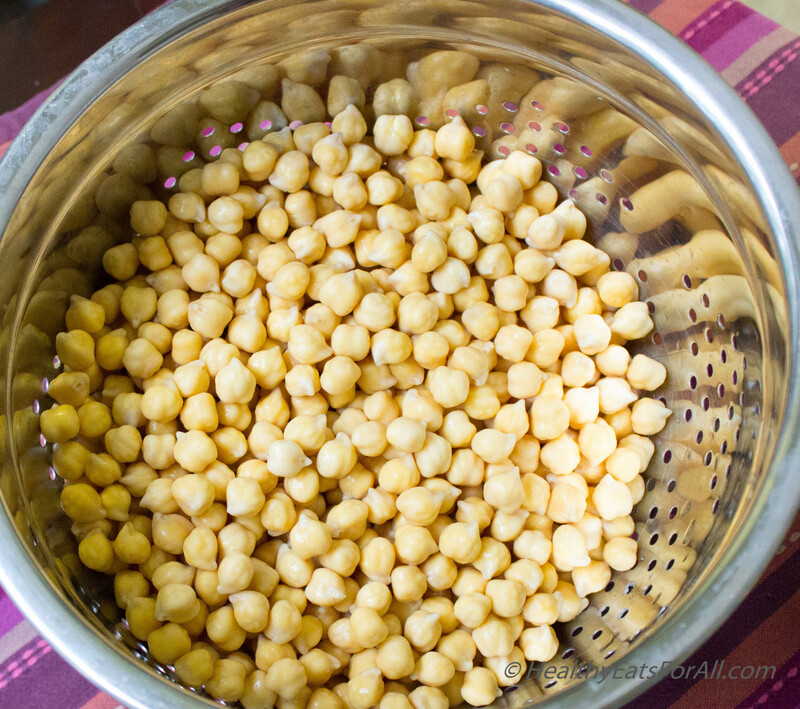 · Soak the dried chickpeas overnight. Next morning drain them really well. If in a hurry, then you can use the canned chickpeas (about 2 – 15.5 oz. cans which have been rinsed and drained very well, but then reduce the salt by half as canned chick peas already have salt). 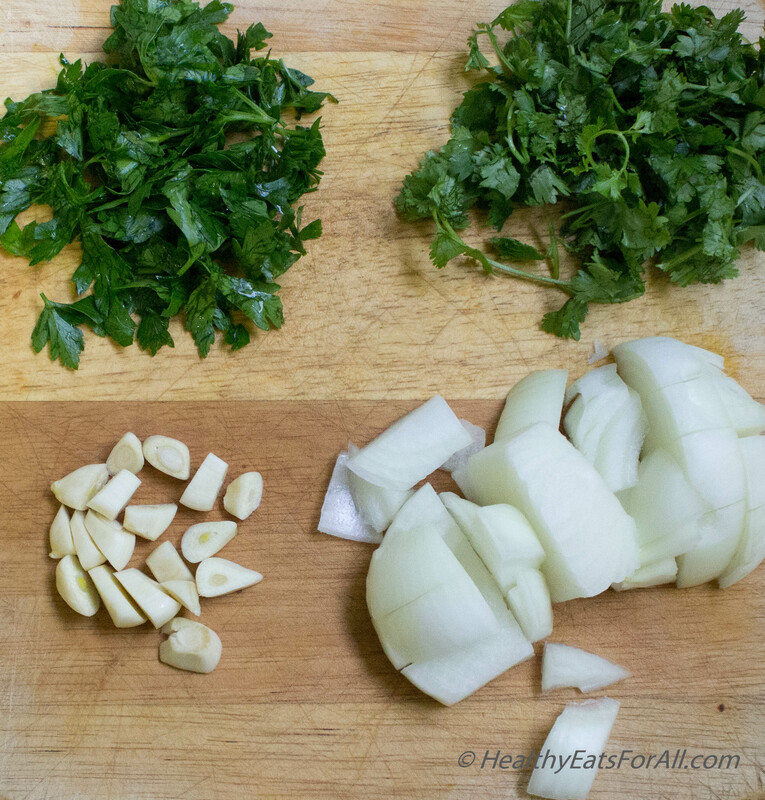 · Rough chop the onion, garlic cloves, cilantro and parsley. 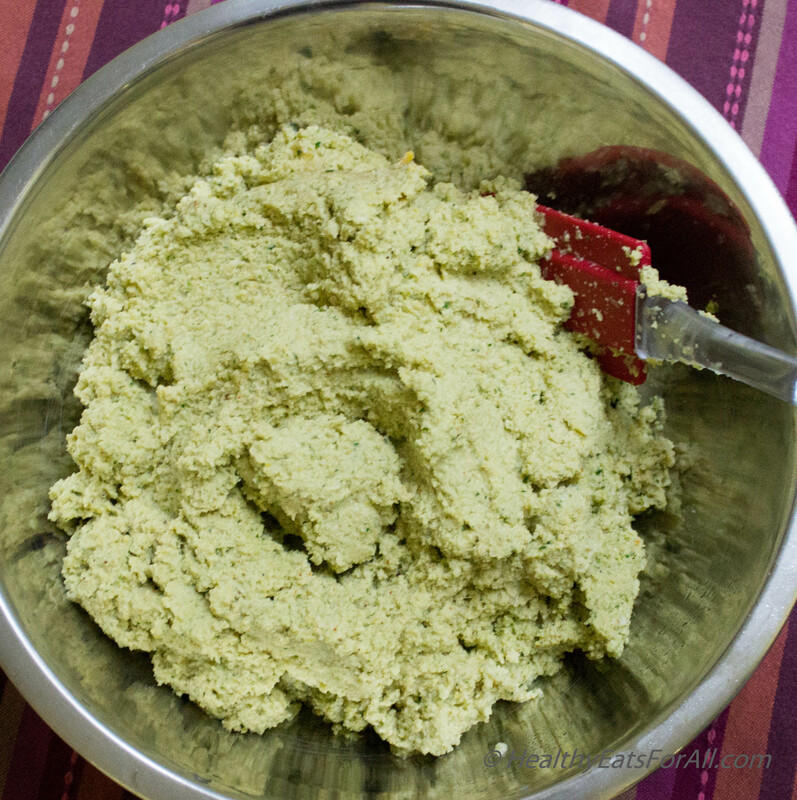 · Add all the above ingredients in a food processor including the spices and pulse really well till a coarse grind. · Preheat the oven to 400 F.
· Put the tray into the oven for 10 min. 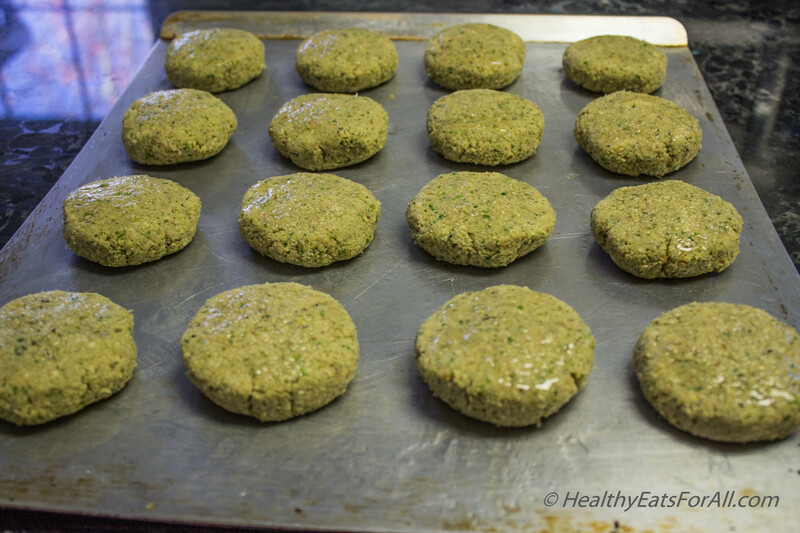 Then take out the tray, using a spatula flip the falafels. · Put the tray back in the oven for another 10-15 minutes till other side is golden brown. 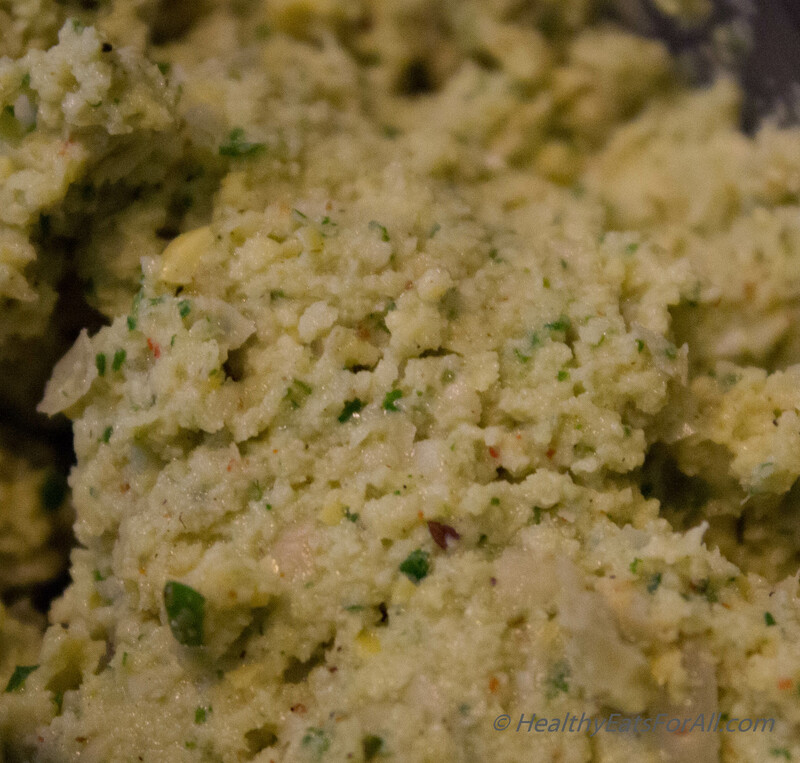 · To serve them, cut the pita bread into half and slightly warm it. 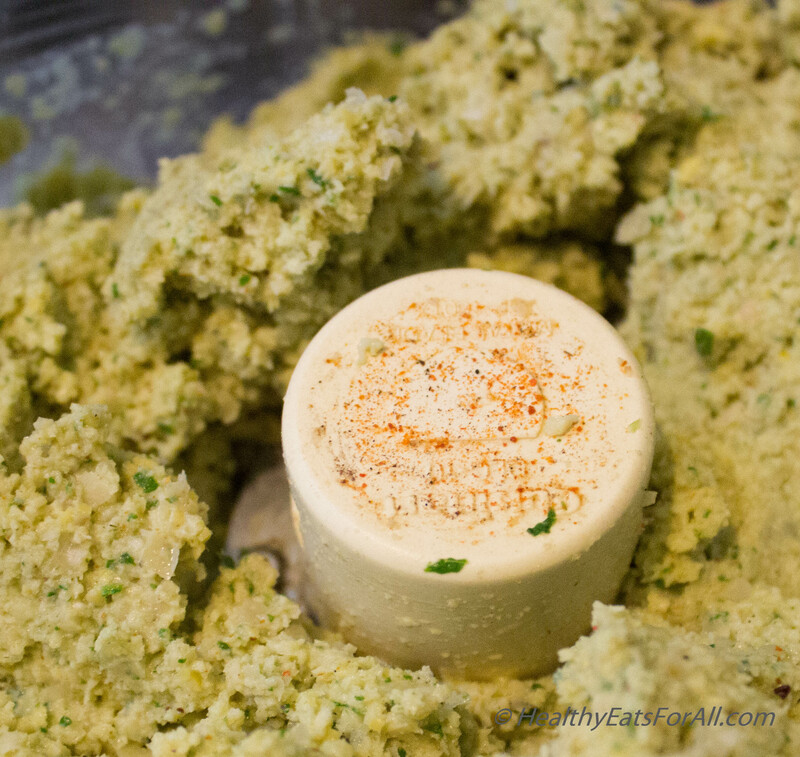 Open the pockets, put a layer of Hummus(check out my recipe) in it. 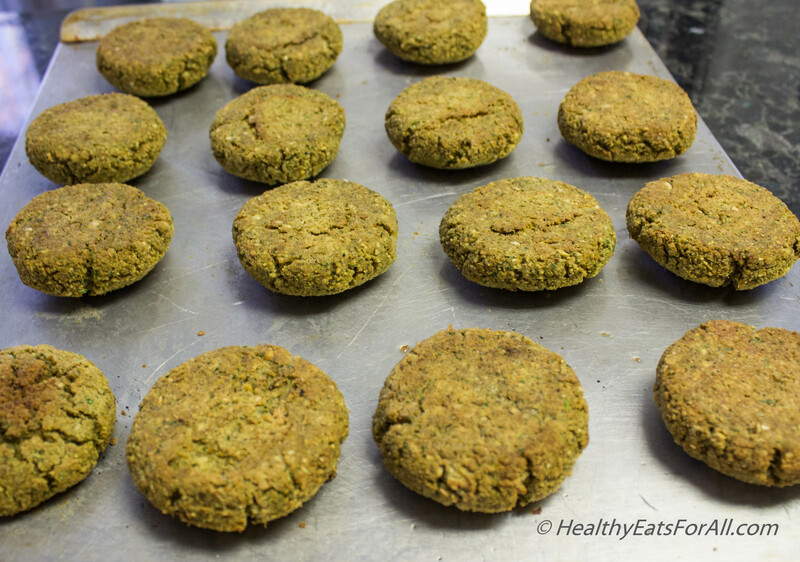 Add about 1-1 ½ falafel, puts lots of Tabbouleh Salad in there or if you don’t have that plenty of chopped lettuce and tomatoes and some hot sauce at the end. Some people prefer adding tahini sauce or Tzatziki sauce. It’s totally up to you.